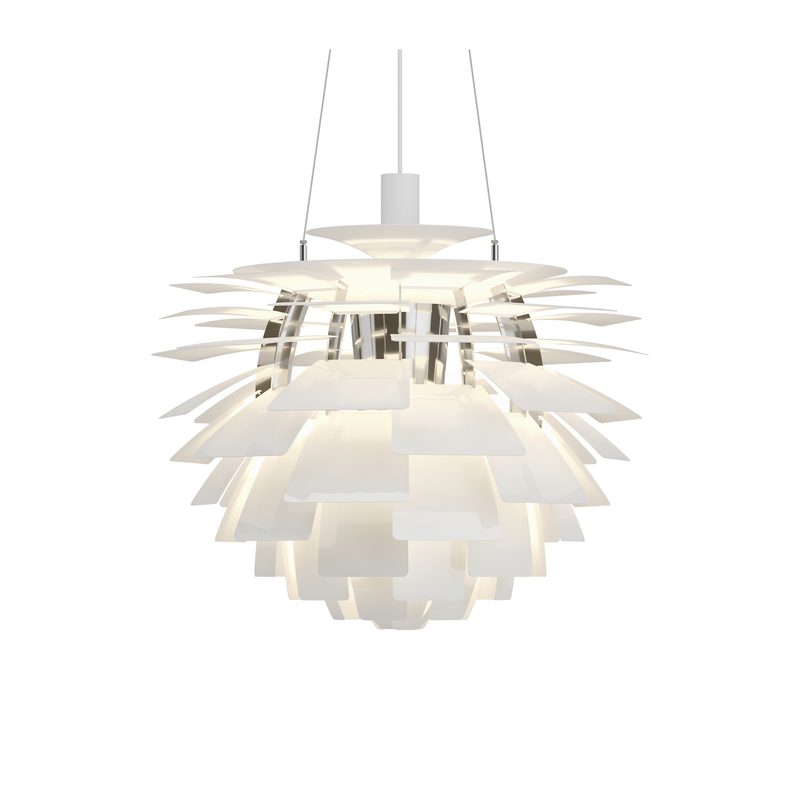 Click on View to select your light source. Material Leaves: Punched copper, laser cut stainless steel or punched steel. 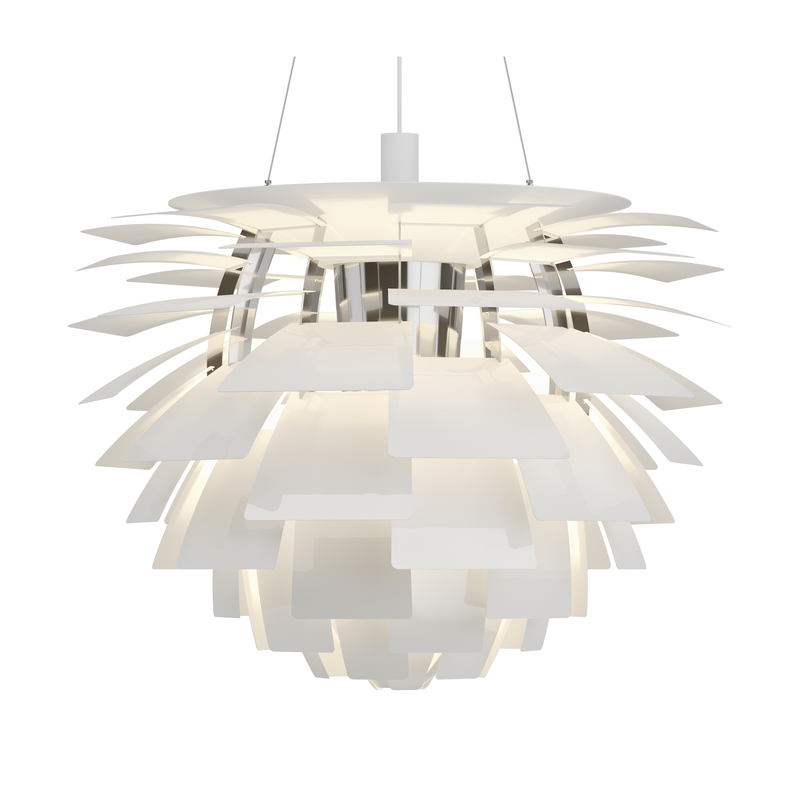 Top shade: White, spun steel. Frame: High lustre chrome plated, laser cut steel. 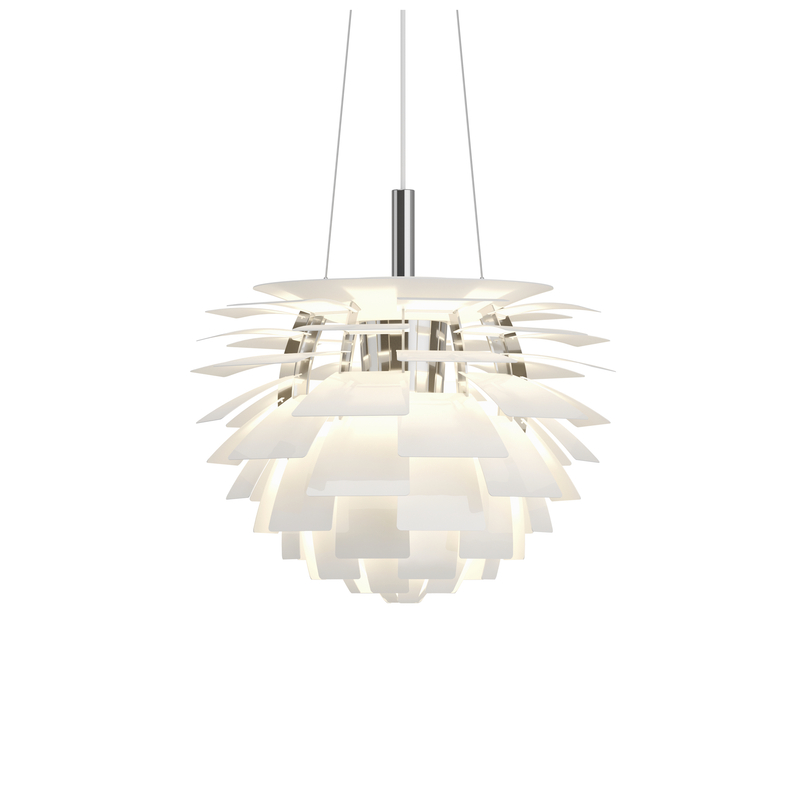 Suspension: High lustre chrome plated, spun aluminium. 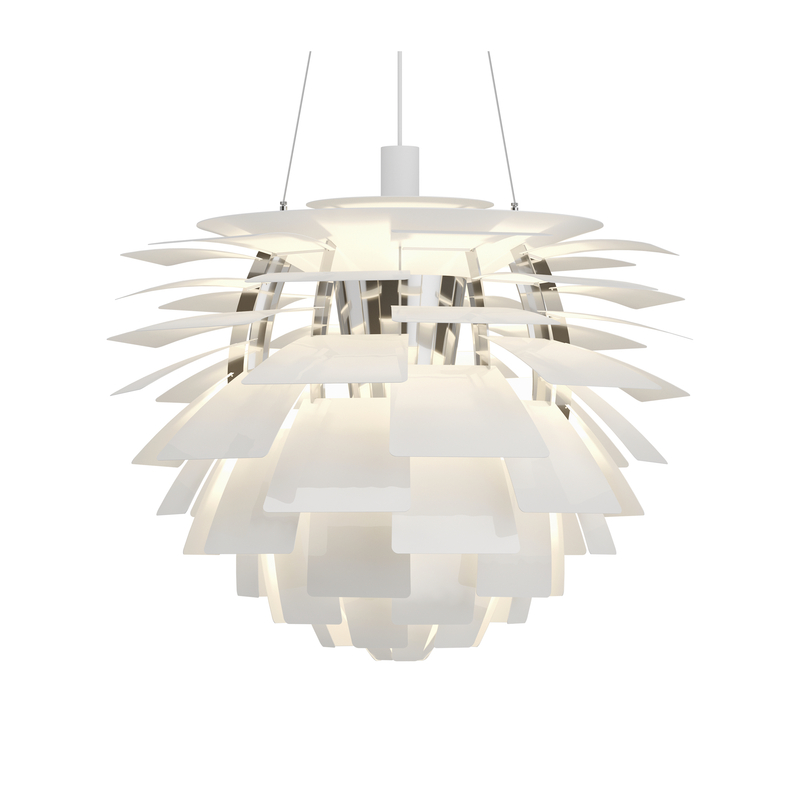 Nowadays, the PH Artichoke by Poul Henningsen is considered to be one of Poul Henningsen's masterpiece and has continued to be considered as such for the past 50 years. The structure is made of twelve steel arches. On this structure PH placed 72 copper “leaves” in twelve circular rows with six blades in each row. Because each row is staggered from the previous, all 72 leaves are able to “cover for each other”. 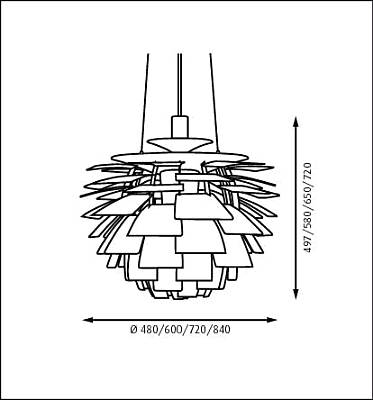 This design allows viewing the fixture from any angle without being able to see the light source located in the center of the PH Artichoke. The original PH Artichokes were developed for a restaurant in Copenhagen called the Langelinie Pavilion, and they are still hanging there today.